Professional Services Automation Software is a tool designed for professionals such as auditors, lawyers, and consultants (IT) with resource management and project management tactics. This is achieved through the development of processes that qualify and quantify simple and fundamental business systems and processes that can be used to restructure these processes and improvise them. While PSA can be implemented and used in any business house, the effective utilization of the fundamental components is essential. Here are the fundamental components / processes involved in any Professional Services Automation System which helps shape the system in a company. It is how a company uses their data using their PSA that decides how efficiently that company can perform. These systems are often combined with Payroll Management System Software and Customer Relationship Management Software so an overall improved system is obtained that is efficient enough to handle the workload. When it comes to PSA, expectations run high. The need for an efficient and compatible system is felt in every sector that aspires to perform in a better manner and be productive. 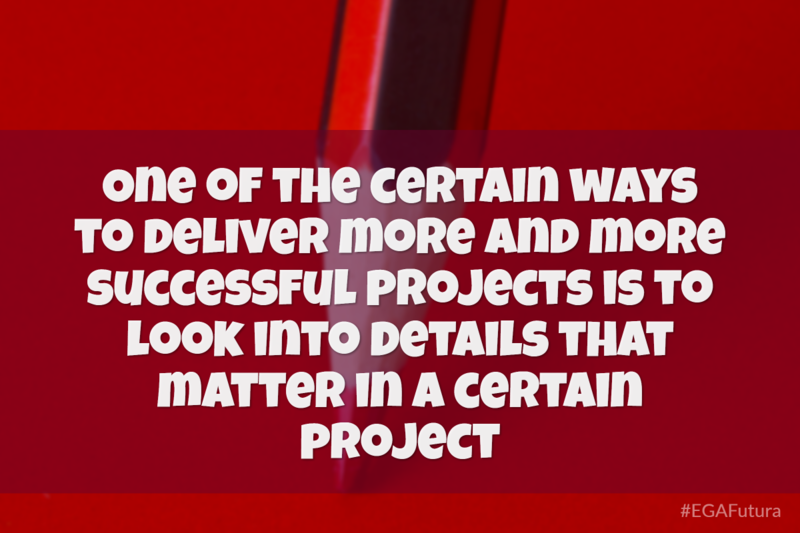 ‍One of the certain ways to deliver more and more successful projects is to look into details that matter in a certain project. Being up to date with the terms and conditions, the content in a project’s history helps you complete the project with more insight, which in turn helps you complete it in time. Understanding a project throughout the delivery process is very much essential – this helps you make the right and most productive decisions, form strategic plans and relationships with your clients. In order to deliver a bigger number of projects in a fixed timeframe, it is essential not to miss out on projects that need your immediate attention. If there’s an issue that keeps hampering the pace of the work, resolve it right away. Finding temporary solutions for the time being and then switching to a permanent one is a good approach when it comes to resolving an issue. When it comes to profitability and utilization, there isn’t much difference between the two terms. 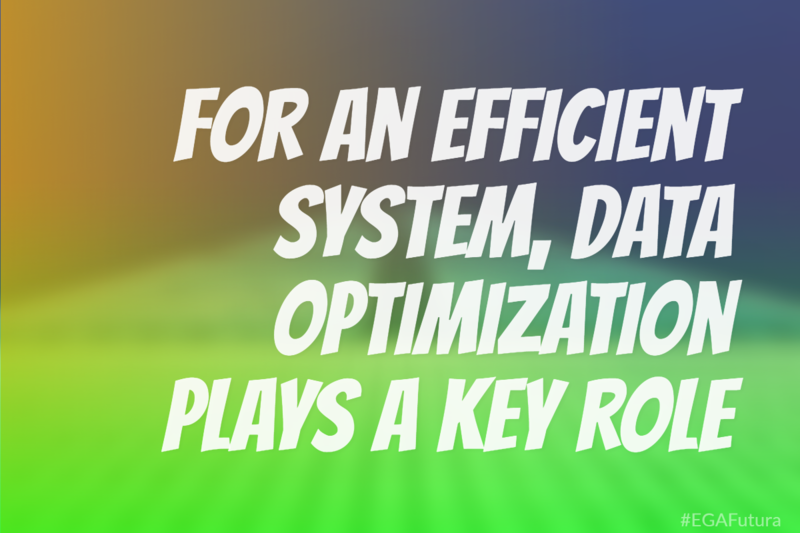 When you can optimize one, you can expect the other to be optimized as well. If more attention is paid to the documentation and recording, the utilization goes up. Analytical and measurement tools: In an organization, the most important thing is to keep track of the data, and above that, keeping track of the day to day changes. With PSA software, it becomes a lot easier. This not only improves the utilization of the data more efficiently, it also makes you less prone to missing out on something that is essential. A centralized PSA software/tool helps the most in any organization, because this helps everyone understand the business and update and review the data. Resource management tools and staff: When an organization is able to understand the utilization of the data and records, they can easily manage it. One efficient way to ensure effective management is to allow the project managers to individually see to the staffing needs on their projects. Resource managers need some additional systems to match the needs of resources. In short, labor utilization is everything the management of tools and staff is about. Management tools and capacity planning: Once the micro surroundings of a project and people have been known and understood by an organization, they can model the system for a better performing PSA which eases the management furthermore. Managers can analyze and aggregate the details such as expertise, skills, certifications etc. Without PSA, it is really difficult to collect data, consolidate, analyze and cleanse. But with the implementation and utilization of PSA, it is easier to make the information accessible, consistent, and it can be easily updated and made accurate. Profitability is one of the major concerns of any business organization that needs PSA software to function. 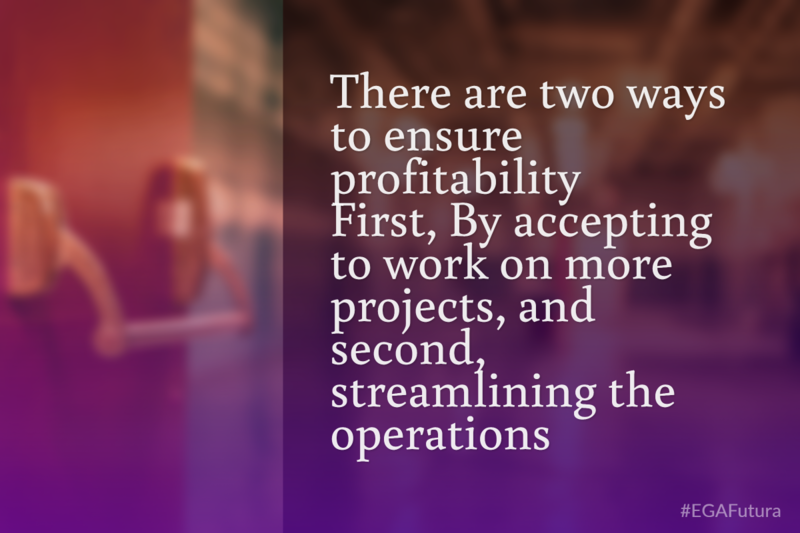 ‍There are two ways to ensure profitability. First – By accepting to work on more projects, and second – streamlining the operations. Maintaining the right profit margins can be very essential for the company and thus, something that is essential to be processed by the PSA software as well. 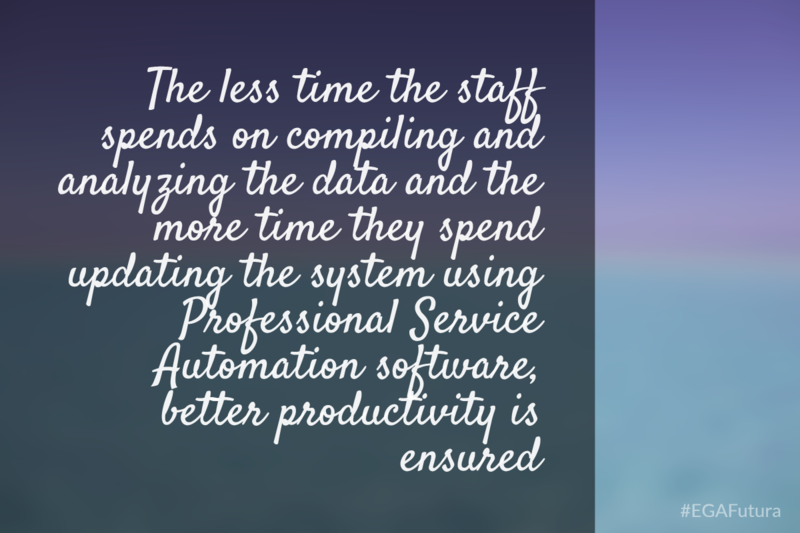 A professional services automation tool not only helps you automate your resources and keep track of the important changes that you may miss out on at some point in time considering the large amount of data that is being processed, but it also helps you improve the overall system performance, thus increasing the profitability of the system and the company more than the companies who don’t use a PSA software. When it comes to using the PSA software, the prime matter that concerns us is efficiency. .
Data optimization in turn can be ensured by efficient and proper operation of delivery. ‍The less time the staff spends on compiling and analyzing the data and the more time they spend updating the system using PSA software, better productivity is ensured. Thus, by making the tools needed for PSA available, managers can ensure the performance, measuring and improving it, pairing up people for projects according to the needs and specific requirements of the projects at an initial level, and then meeting with the demands at a higher and advanced level. Professional Services Automation Software helps the business house to optimize their options and utilization the right way. It is not about the discounts, cutting the rates or the fire sales. It is about using a better, more efficient, and less tiring system to utilize the resources available to you.